Everyone is unique, interesting, and has something to say! 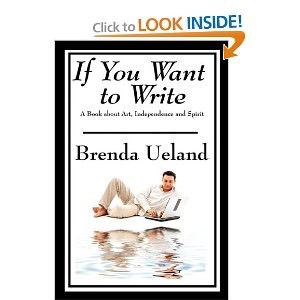 That's a quote from one of my favorite books on writing, Brenda Ueland's "If You Want to Write". I think it's absolutely true, and it's also true that everyone's journey is unique. Please remember that, and don't get discouraged! It is so very easy to become disheartened. That happened to me a lot when I was younger. At the same time, as I've worked at finishing novels, I've come to realize that there is some truth to those old bromides. I actually do have something like a "trunk novel" - a story I started, but gave up on because it was, frankly, pretty bad. That's not to say I might not return to it sometime down the road and make something good of it - there's a character or two that might be worth developing further. But we will take false paths and make mistakes on our journeys. That's okay. We just have to recognize that these things didn't work for us, put them behind us, and keep going. If you want to write, write. Just do it - it doesn't matter what, whether brainstorming lists or letters or articles or stories or essays or poems. Just keep writing, and let the writing teach you. You WILL make progress, in your own way. You have a story to tell that no one else can tell for you. So keep going! Really, if I have a New Year's resolution (aside from getting up earlier, which I'm not doing to well at yet! ), that's it. Keep going! Your story is unique, whatever it is, and there can't be too many good stories in the world.